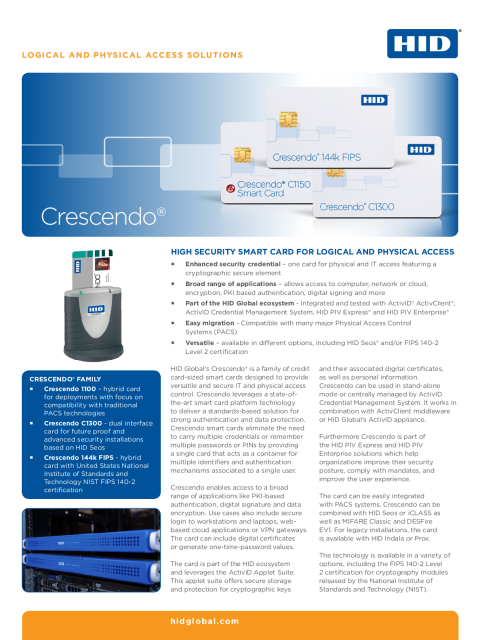 The Crescendo C1150 is ideal for organizations that are not yet using a card management system and comes pre-loaded with an electrical profile ready to use with Microsoft-based applications as well as Actividentity ActivClient®, and 4TRESS®. Contact-only and hybrid card configuration for ISO/IEC 7816 protocol support as well as proximity (125 KHz) and/or ISO/IEC 14443/15693 (respectively MIFARE®/ HID iCLASS®). 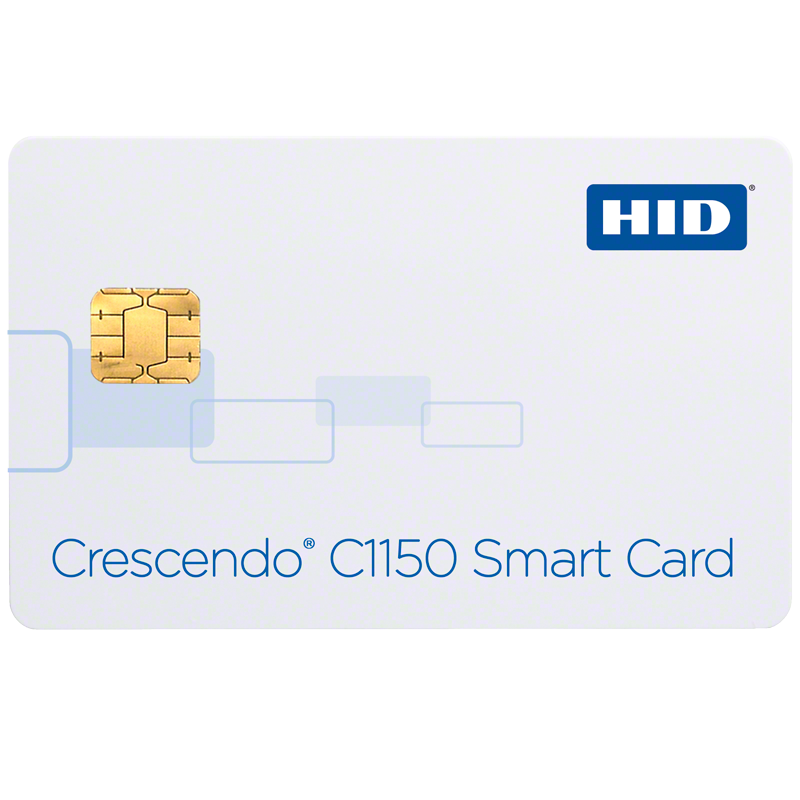 Cards are available with combinations that include HID iCLASS, Proximity (HID and Indala), MIFARE Classic, MIFARE DESFire EV1 and combinations thereof. Other RFID combinations can be supported on demand. Large available memory for credentials storage: PKI Digital Certificates and keys, Single Sign-On (SSO), passwords for Disk Authentication and Boot Disk Encryption, one time password using HID Global's patented solution. High performance smart card leveraging the latest generation of smart card chips available on the market. Low power consumption chip (appropriate for smart card portable devices). High security chip (accredited to Common Criteria EAL5+. The JavaCard Operating System also integrates security countermeasures (protection against attacks).